Engage in social media—before the Conference starts. 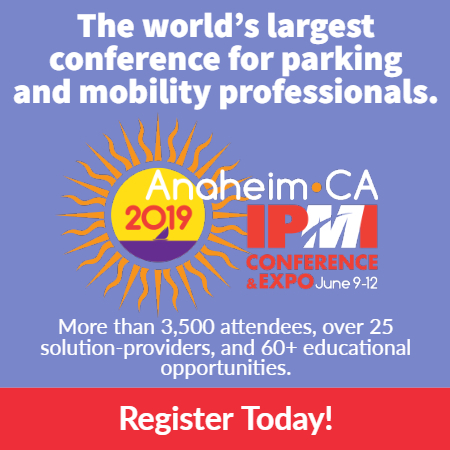 Follow @IPIParking on Twitter and like IPI on Facebook prior to leaving for the Conference. People will be sharing tips, exhibitors will be announcing prizes and contests, and you may even make a new friend! Search for #IPI2017 to see all the excitement. Download the mobile app before the Conference. This mobile app will be the best friend you didn’t think you needed. Not only does it give you the option to build your own agenda, but it contains a live Expo map, maps of the venue, and networking galore! This is where you’ll rate each session you attend, take notes in those sessions to reference later, and have the ability to email them to yourself. We’ll share downloading information closer to the event. Attend the New Members & First Timers Orientation. The IPI Conference & Expo can be a bit overwhelming, even for Conference & Expo pros! Join us at this session on Sunday, May 21, and visit with leadership and staff to learn how to navigate the week and meet a friend or two. Network, network, network. The easiest way to break the ice is to find something in common with other attendees. There is no better way to do that than to sign up for one of the Optional Networking Adventure Tours or Evening Mixers to help get your blood pumping and your mind right for the week ahead and soak in a little bit of New Orleans on your terms with other Conference attendees. Prepare to have your mind blown no matter your experience level. One of the biggest things I wondered about before my event last year was what the presentations and speakers would be like. Whether you’re a newbie or self-proclaimed parking professional ninja, you’ll always walk away with a big list of ideas that will have you completely stoked. I found myself jotting down notes on how I could apply what I was learning to my current projects and was able to hit the ground running when I got back to the office. Are you an IPI Conference & Expo newbie? We have a whole page of valuable information on the Conference website dedicated just to YOU! See you in New Orleans. Rita Pagan is IPI’s sales and exhibits coordinator. This will be my first conference and I am excited! Those are great tips and I will use them all. I am arriving for the Media Workshop. I am hoping for the learning experience of my life! I work for a government agency in Maryland.